Screenshot of email from Carnival Guest Care. 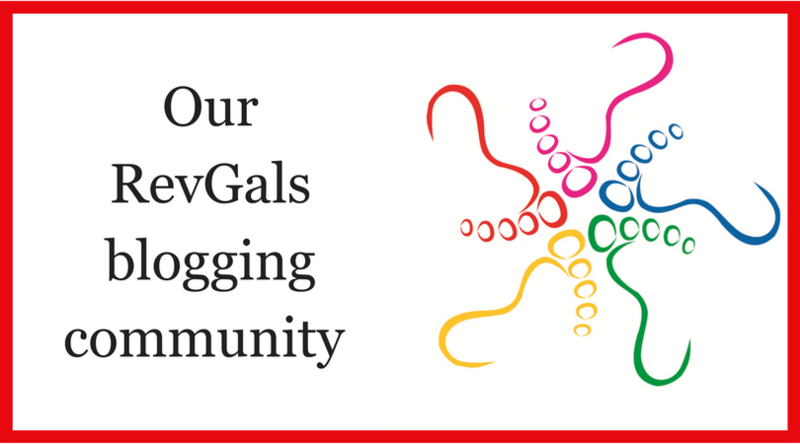 On Monday, February 4, the Reverend Julia Seymour, RevGalBlogPals’ board president, received the following response from Carnival Cruise lines to our Open Letter. Your recent experience on Carnival Magic was brought to our attention, as well as the follow up communication in which you and others expressed that more should be done to address your point of view. We have clear guidelines for music that is played in our public lounges. Some latitude is extended to the DJs in our nightclubs in order to accommodate the preferences of all of our guests. All music that is played is “radio version” recordings of popular music that is edited for offensive language. We certainly respect your point of view. And in the incident on Carnival Magic, we counseled the DJ and the Entertainment team to be respectful of your concerns as you clearly felt that they were not. But we feel that the onboard credit we offered was appropriate. Carnival carries over 5 million guests every year, representing a wide array of nationalities, races, ethnic groups and cultures, and its onboard crew hails from over 100 nationalities. Every day we work to make sure our guests and crew feel welcome. While you may feel we failed to do so in this incident, we will not have our record of inclusion and diversity called into question. 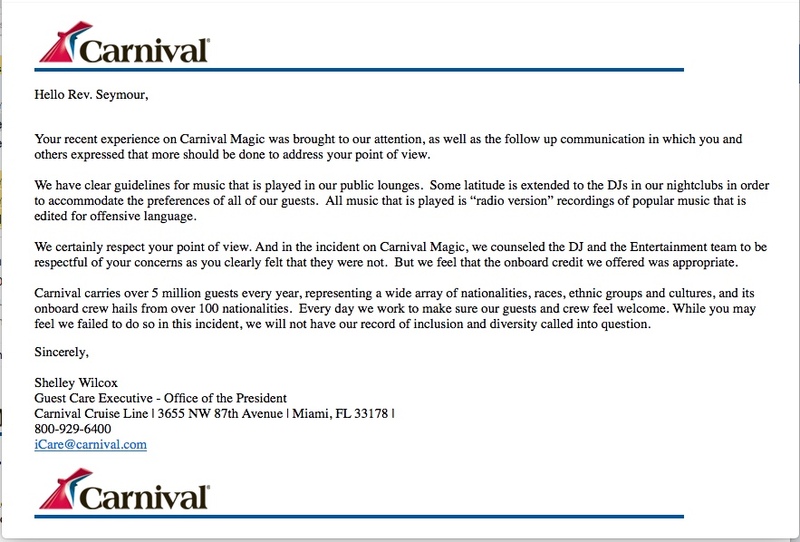 RevGalBlogPals will continue to call into question Carnival’s record on inclusion and diversity based on our experiences and this response from the corporate office. Share the open letter and this response with people in your online and in-person communities. Host a conversation in your context about institutional violence like that experienced by the Black women and those allied with them in our group using the open letter and its points as a guide. 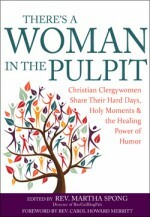 Donate to the RevGalBlogPals continuing education scholarship fund for Clergywomen of Color. Reach out to Carnival on social media (Twitter/Snapchat:@CarnivalCruise, @CarnivalPR; Facebook/Instagram: @Carnival) and telling them they can #ChooseAccountability to customers who’ve experienced harm or discrimination aboard their ships. WOW: I am appalled at most of the letter … but the final statement (we will not have our record of inclusion and diversity called into question) ,,, is not acceptable.